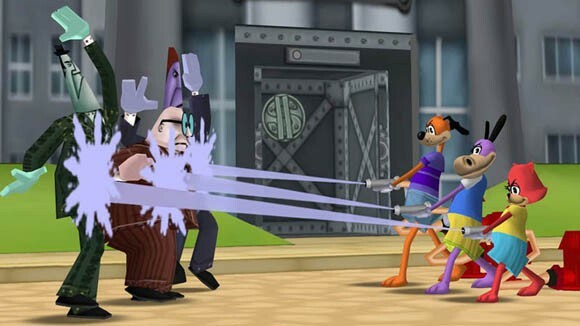 Disney’s Toontown Online is one of the first 3D massively multiplayer games built just for kids. We created Toontown and released a beta in 2001 as part of Disney Imagineering and later found a permanent home for the product at Disney Online, officially launching in 2003. My early work on Toontown focused on game design and gameplay programming, working on the quest system, fishing, various minigames, boss enemies, installer, and level editor. We built Toontown using our own internal Panda3D game engine written in Python and C++. I also helped develop a patented safe chat system to allow all kids to talk using canned phrases, or optionally use filtered chat with real life friends, after the offline exchange of a secret code. This entry was tagged disney, MMO, Panda3D, RPG, Toontown.